The media is proffering all manner of good news when it comes to the Open Enrollment Period for purchasing 2019 individual and family health insurance, just three days away. The doors open this Thursday, November 1st and will remain so through December 15th. During this time you, the consumer, will be able to review your options and make a decision to renew your existing policy or select a new one to become effective January 1. Whichever, that policy will cover you the coming calendar year. The feature article appearing below, states there will be ” . . . fewer sources of unbiased advice and assistance to guide them through the labyrinth of health insurance.” To wit, it cites, the budget for insurance counselors, known as navigators, has been cut by 80%, leaving over one-third of navigators in 2,400 counties served by Healthcare.gov, unfunded. Thank you very much, New York Times. Somehow, they neglected to consult with me and my agency, ALL PLAN MED QUOTE. Reading the article in full, one can infer they feel the only meaningful assistance can come from the government (at taxpayers’ expense) and fail to credit the private industry, which has provided counsel and enrollment assistance within the domestic insurance industry some two hundred years plus. One token sentence in the article acknowledges the private industry’s presence to assist the consumer with procuring health insurance. In my estimation, this reflects the media’s general opinion and thesis that the government is the end-all solution to every conceivable personal financial issue. Which, again, in the mind of this editor, is precisely the philosophy, the perpetuation of which got us into this fix in the first place. Moreover, what exactly is that fix? Current pre-midterm election media coverage informs us premiums have stabilized and are, in many cases, going down in 2019. While that may be true in some localities, the recently released premiums in southeast Texas reflect increases of 20% or more. If you obtain a subsidy, wherein you get a tax credit for a portion of your premium, the subsidy itself may be larger, but the balance may be as well. Also, for those not obtaining a subsidy (the vast majority of us) the increase will be born entirely by ourselves. 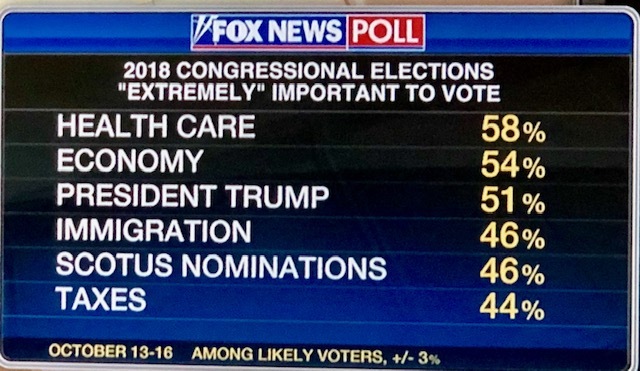 The situation has made healthcare the number one concern of Americans heading into next week’s midterm elections according to a Fox News Poll. For the record, ALL PLAN MED QUOTE and I have never been subsidized by taxpayer dollars. As an independent, self-employed broker/agent I am compensated when I successfully enroll someone in health insurance. I am not compensated when I fail at such. That is fine by me. In spite of continual cuts in agent compensation. I prefer autonomy to bureaucracy. My advice and guidance are objective. My goal is to succeed it getting you enrolled in a policy which makes sure you have access to the care and treatment you need, when you need it and are not financially devastated in the process. All this for the lowest possible premium. I do not care which insurance company you contract with, as long as you are satisfied you have obtained the best coverage for your given situation and needs. Ideally, it would also provide you access to all the doctors and medical providers you choose to utilize. Regrettably, that latter objective has become my biggest challenge and is one every insurance agent and counselor faces. To say it can be overcome in every instance would be misleading but I do my best. All 2019 individual and family options are Health Maintenance Organizations (HMO) policies, and this has been so since 2016. The HMO networks are narrow in comparison to what one may typically have experienced with employer-based HMO coverage. However, there are a very few plans (3 in my primary region) which operate very similar to a traditional Exclusive Provider Organization (EPO) policy in that they do cover treatment at a provider outside the network. Benefits are paid up to a limited percentage, and there is no cap on your maximum annual out-of-pocket but―for someone who wants to be assured they can obtain coverage from the provider of their choice―it is better than no coverage whatsoever. If you feel you must learn more about this option, please contact me. 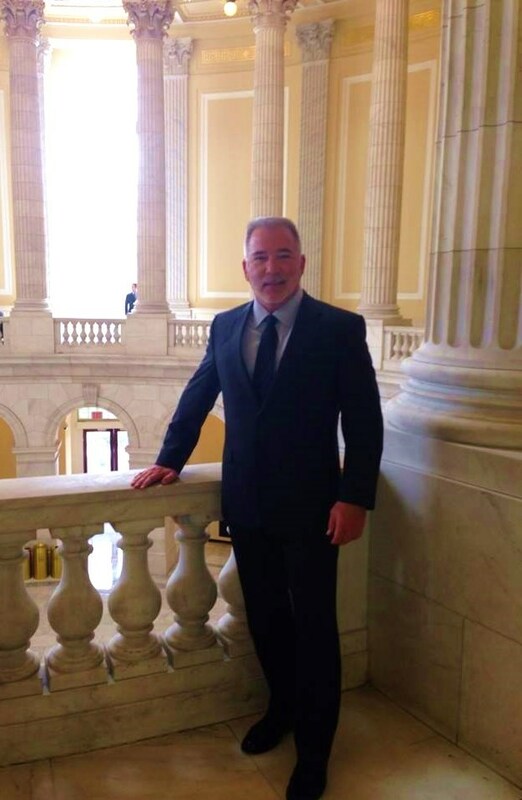 To assist me in these ends, I am appointed with every company providing Patient Protection and Affordable Care Act-compliant health insurance company doing business in Montgomery, Harris, Fort Bend, and Galveston counties. BlueCross BlueShield of Texas (to my knowledge) does business in every corner of Texas, and I have been appointed with them twenty-seven years. In addition to Texas, I am licensed in Indiana, Michigan, and Ohio. I offer short-term health insurance for those who do not get a subsidy and those who, whether they do or not, cannot afford credible health insurance. However, I do not represent it as covering pre-existing health conditions, as it does not. Nor do I represent it as a substitute for credible, compliant coverage. It is a short-term bridge to a long-term solution. As always, the Open Enrollment Period will be a very busy and hectic time for anyone in my profession. To make things proceed more smoothly, I would appreciate you visit my quoting site to obtain spreadsheet comparison of your options from all the health insurance companies offering coverage in your county. Attempt to narrow your selection down to those plans you feel most closely approximate the coverage you need. You can search for in-network providers from the search button directly next to the premium quoted. If you are so confident a plan is right for you, please feel free to apply straight from the quote. However, many of you will have questions or appreciate my insight and experience with the plan details and application process. Those in need of a subsidy will find my assistance especially helpful. If this is you, please do not hesitate to contact me. Again, for quotes and applications, you may go to my website at Http://TheWoodlandsTXHealthInsurance.com and click on “Health” in the top menu. If you apply for coverage through these links, I will be your agent and available to assist and commit to providing the best of service throughout the year. I bring my entire thirty-two years in medical insurance to bear for this purpose. I look forward to hearing from you and assisting you. Regardless, I hope you succeed in obtaining health insurance which suffices until Congress puts their heads together and provides us with more reasonable options. WASHINGTON — When the annual open enrollment period begins in a few days, consumers across the country will have more choices under the Affordable Care Act, but fewer sources of unbiased advice and assistance to guide them through the labyrinth of health insurance. “Obamacare health plans,” short-term plans and “Christian health sharing plans” are all displayed on the same page of some shopping sites like Affordable-Health-Insurance-Plans.org, which describes itself as a free referral service for insurance shoppers. “If you are confused and you want somebody’s help to try to figure out what’s right for you — what’s junk and what is legitimate — there will be fewer people to help you in most states,” Ms. Corlette said. Federal officials said they were not providing funds for navigators in Iowa, Montana or New Hampshire because no organizations had applied for the money in those states. Cleveland, Dallas and large areas of Michigan and other states will also be without navigators. Seema Verma, the administrator of the Centers for Medicare and Medicaid Services, defended the cuts. Consumers can sign up for health insurance under the Affordable Care Act starting Thursday. Last year, 8.7 million people enrolled at HealthCare.gov, and three million more selected plans on insurance exchanges run by states. Many health policy experts say that federal financial assistance is more important than the individual mandate in inducing people to buy insurance. Those subsidies will still be available to low- and moderate-income people for insurance that complies with the Affordable Care Act and is purchased through the public marketplace. The subsidies cannot be used for short-term policies. President Trump has promoted the short-term policies as an inexpensive alternative to the Affordable Care Act, and he said those plans would be “much more widely available” as a result of an executive order he signed last year to overturn restrictions imposed by President Barack Obama. Alex Quilici, the chief executive of YouMail, a company that offers software to combat robocalls, said he was seeing a huge increase in health insurance scams. It is difficult to identify the source of the robocalls, Mr. Quilici said, because callers often falsify information displayed on caller ID. And this is the reality with current members having paid into it their entire working careers. How do you think that is going to work when you add every other American, a great many of which are not contributing to Medicare and never have? In my mind, that will expedite the path to insolvency exponentially. Consider a true single-payer program which serves as an example: Veteran’s Administration Health Care. A beacon of mismanagement resulting in waiting lines, provider rationing, and, in many parts of the country, long travel distances for care. To exacerbate the difficulty in predicting premiums, and budgeting accordingly, President Trump has stated he is considering withholding federal subsidies to insurance companies. Historically, these have bought down the retail premiums the consumer must pay. Here we are halfway through September, and we still do not know if Trump will do so. Now―here is the real wrench in the grist mill ― the insurance companies must submit their 2018 premiums to the State Insurance Regulators by September 30th! 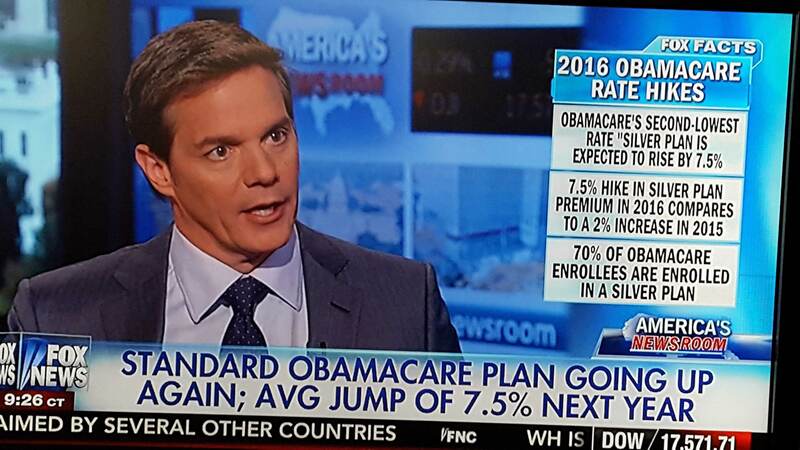 That is 20 percent on top of general premium increases predicted to be in the 12 to 15% range. Once again, whether you feel you need assistance in coping with these issues in electing your 2018 coverage and protecting yourself and family from the sky-rocketing cost of health care, please call me at 281.367.6565. I have been specializing in health insurance for 26 of my 31 years in insurance. I have assisted my clients in coping with Obamacare since its passage in March of 2010. For those of you enrolled in Medicare ― Open Enrollment for election of your 2018 Part D Drug Plan begins, as usual, October 15th. Current clients should email me a list of your current drug regimen at allplanhealthinsurance.com@gmail.com. Upon receipt, I will provide you my recommendation your lowest out of pocket cost Part D plan in 2018. Those of you not currently my clients are encouraged to do the same. WASHINGTON — Governors from five states called Thursday on Congress to move quickly to stabilize the individual health insurance market and then embark on a serious effort to deal with skyrocketing health care costs. “All of us — Republicans, Democrats and independents — should agree that our current path is not a sustainable one,” Tennessee Gov. Bill Haslam told a Senate panel. The governors — three Republicans and two Democrats — testified during the second of four bipartisan hearings before the Senate Health, Education, Labor and Pensions Committee. The panel is looking for a short-term fix to stabilize the individual market after the collapse of GOP efforts to repeal and replace the Affordable Care Act, or Obamacare. The committee’s chairman, Sen. Lamar Alexander, R-Tenn., said he hopes senators can forge a bipartisan agreement by the end of next week and pass limited legislation by the end of the month to keep prices down and make it possible for everyone in the individual market to be able to afford insurance. Congress must act quickly. New insurance rates for 2018 must be posted on the government’s website, healthcare.gov., by Sept. 27. At Thursday’s hearing, the committee heard from Republican Govs. Haslam, Charlie Baker of Massachusetts and Gary Herbert of Utah and Democratic Govs. Steve Bullock of Montana and John Hickenlooper of Colorado. A key issue is the future of federal cost-sharing payments to insurers that help them provide affordable coverage for low- and moderate-income families. President Trump has threatened to end the payments, worth about $7 billion this year. All five governors testifying Thursday urged Congress to continue the payments, echoing the pleas of state insurance commissioners who appeared before the panel a day earlier. The governors also called for creation of a reinsurance program that would limit losses to carriers that provide coverage in the marketplace and for the federal government to give states more flexibility to design and regulate insurance plans more suited to their own needs. “It’s time for the federal government to work with us, not against us,” said Hickenlooper, arguing that state efforts to bring down premiums have been frequently undermined. Alexander said one option for giving states flexibility would be to allow the governor or state insurance commissioner to apply for a waiver from Obamacare’s rules, instead of waiting for the state legislature to act. He also suggested a “copycat” provision so that when one state wins federal approval for a program or initiative, other states could quickly follow suit. Senators most likely will fashion a short-term stabilization plan that includes continuing cost-sharing for a limited period of time and gives states significantly more flexibility through Obamacare’s waiver process, Alexander said. Once a short-term fix is enacted to stabilize the individual market, lawmakers can then move quickly to focus on how to make the market vibrant in the long run, Alexander said. “I hope we can begin to spend most of our time on the larger issue of health care costs,” he said. Two more hearings are planned next week. The committee will hear Tuesday from various health policy experts. Health care providers and other stakeholders will appear before the panel next Thursday. Insurers can’t wait past a Sept. 30 deadline to set key insurance rates for next year. However, the fate of key subsidy payments under the Affordable Care Act is still unknown. State health insurance regulators expect that subsidies could remain in limbo past key deadlines, and are making plans for that possibility. State health insurance regulators have been hoping for the best when it comes to 2018 exchange enrollment, but are now bracing for the worst-case scenario — that the fate of key health insurance subsidies will remain in limbo past key deadlines next month. “We have a way to protect consumers, but it is complicated and will cause unnecessary confusion and anxiety,” said Diana Dooley, chair of Covered California, the state’s Obamacare exchange, in a statement Friday. California officials say they will wait until the end of September to decide whether to let insurers impose a 12.8 percent surcharge on 2018 exchange premiums to account for the potential loss of cost-reduction subsidies that reduce out-of-pocket costs for low-income enrollees. Some Republican lawmakers have proposed passing a short-term funding bill next month to authorize 2018 reimbursements for cost-reduction subsidies insurers are required to make under the Affordable Care Act. However, if there’s no deal on the subsidies within the next five weeks, states will have no choice but to approve rate increases that include surcharges and go with those rates for the start of open enrollment on Nov. 1. On average that would mean consumers would see an extra 20 percent price hike next year. “In many ways the die has already been cast… if nothing changes before the end of September, we’re pretty much looking at those rates being locked in for 2018,” said Wisconsin insurance commissioner Ted Nickel, who is also president of the National Association of Insurance Commissioners. State insurance commissioners, insurers and most of the major health industry groups have been urging Congressional leaders to fund the so-called cost-reduction subsidies for months, but politically it puts Republicans in a difficult spot after their failure to repeal the Affordable Care Act. A federal judge ruled in favor of House Republicans last year, after they sued the Obama administration arguing that funding for the subsidies was never authorized by Congress. That lawsuit has been put on hold three times since last fall, and is due back in court this week. President Donald Trump has repeatedly threatened to pull the plug on the insurer reimbursements citing the ruling, though the administration has continued to make the payments on a month-to-month basis, and will make them for August. One thing that could help tip the balance for reaching a deal is the Congressional Budget Office’s report, which estimated that cutting the subsidies would increase the deficit by $194 billion over 10 years, in part because higher premium rates would result in more people qualifying for tax credits. But Congress also has a number of key deals it has to reach next month, including raising the deficit and reaching an agreement to fund the government in order to avoid a shutdown. What if the payments get funded after the rate hikes? If funding for cost-reduction subsidies were approved after rates are locked in for open enrollment, consumers would not likely get relief from the price hikes right away. “The Medical Loss Ratio that was instituted by the ACA will still be in place, meaning that consumers will be reimbursed [if] insures are not spending an 80% minimum on [health] care costs,” said Christina Cousart, senior policy associate at National Academy for State Health Policy, but she added those rebates would happen retroactively. Some consumers might not be made whole for the premium surcharges. The higher rates would likely result in even fewer healthy unsubsidized consumers signing up for coverage. While the rate increases should be high enough to shield insurers from losses on sicker enrollees, they would not necessarily result in big rebates for consumers. “There’s no way we can back out these higher rates that the companies put in… We’re going to have more expensive health insurance plans, we’re going to have fewer people enrolled,” said insurance industry consultant Robert Laszewski, president of Health Policy and Strategy associates. What’s also unclear is whether consumers who receive larger tax credits would have to pay them back at tax time, if insurers do provide premium surcharge rebates. If Congress manages to come up with a funding deal to keep the subsidies in place, Wisconsin’s insurance commissioner says they should not stop there. He says the current problems underscore the need to give states more flexibility to stabilize their exchange markets than they have under current Obamacare rules. With the confirmation of Tom Price as Secretary of Health and Human Services, the Trump administration is already working to make changes to President Obama’s health reform law, the Affordable Care Act (ACA). No, the promised “repeal and replace” of the ACA (also known as Obamacare) hasn’t happened yet, but Mr Price’s Department of Health and Human Services (DHS) has issued proposed guidelines that would affect consumers during 2018’s Obamacare open enrollment period. The 2018 open enrollment period is not scheduled to begin until the fall of 2017. If the ACA is repealed, this next open enrollment period may be Obamacare’s last. Shorter open enrollment period for 2018 – The 2018 Obamacare open enrollment period is currently scheduled to run from November 1, 2017 through January 31, 2018. DHS’s proposed change cut the duration of the the open enrollment period by half so that it runs from November 1 through December 15, 2017. Some loosening of benefit requirements – The Obamacare law sets strict guidelines for “minimum essential coverage” that all major medical health insurance plans must provide. Though details are not yet available, DHS is proposing to loosen these rules somewhat, allowing insurers to offer plans with a broader range of coverage options. More supporting documentation required for special enrollment periods – Outside of the nationwide open enrollment period, consumers can only purchase coverage on their own when they experience a major life change, such as marriage or divorce, or the birth or adoption of a baby, etc. A proposed revision of rules would tighten the requirements for applicants to provide documentation proving their eligibility for a special enrollment period. Changes to doctor network rules – Under Obamacare, the federal government sets standards for what constitutes an adequate network of participating doctors and medical facilities for major medical plans. A proposed change from DHS would allow states to set these limits for themselves instead. Collection of overdue premiums – In a move designed to discourage applicants from neglecting to pay their monthly premiums near year’s end and simply re-enrolling with the same plan for January, a proposed DHS rule would allow insurers to collect overdue premiums before extending coverage to such applicants in the next year. The Medicare trust fund will be insolvent by 2029, the program’s trustees reported today. The prediction is a year later than the 2028 date the Obama administration outlined in last year’s report. The Congressional Budget Office in January 2016 estimated the program would be solvent only until 2026. Based on the new findings, the feared Independent Payment Advisory Board, which was designated by the Affordable Care Act to rein in Medicare costs if they grew faster than a set rate, will not be activated. That’s likely good news as the board, called a death panel by ACA opponents, has never had to be formed. There hasn’t been the need, and some say, the willingness to expend the political capital. With midterm elections coming and possible fallout likely if Republicans repeal the ACA, this is one less possible political headache to worry about. Also of note, 2029 is 12 years longer than projected estimates before the Affordable Care Act become law. However, trustees are worried doctors will exit the program anyway. The report contained new concerns about access to physicians in the coming years due to the Medicare Access and CHIP Reauthorization Act. MACRA replaced the physician payment updates under the sustainable growth rate formula, which clinicians were paid under for years. Under MACRA the annual physician payment update for 2017 through 2019 will be 0.5%. For 2020 through 2025, there will be no payment update, which alarmed the trustees. The new insolvency date does incorporate modest savings from the agency’s move to value-based care, including accountable care organizations. However, exact figures were not broken out. “The innovations being tested under the ACA, such as bundled payments or accountable care organizations, could reduce incentives to adopt new cost-increasing technologies and could contribute to greater efforts to avoid services of limited or no value within the service bundle,” the report says. Medicare Part D expenditures per enrollee are estimated to increase by an average of 6.4% annually over the next five years; that’s higher than the projected average annual rate of growth for the U.S. economy, which is 5.2 % during that period. The report found that these costs are trending higher than previously predicted, particularly for specialty drugs. In 2016, Medicare covered 56.8 million people and expenditures were $678.7 billion up from $647.6 billion and 55.3 million beneficiaries in 2015. We are more than half-way through 2016 and three months away from the scheduled beginning of the 2017 Affordable Care Act (ACA) individual and family health insurance Open Enrollment Period (OEP). All of which finds this broker and many of his clients still reeling from the this year’s OEP which ended in February. By last September, the rumor was health insurance premiums would not be inflating. That was quite encouraging to myself and to my clients who inquired as to such. However, what was unsaid―and to our shock―was what we learned with the commencement of OEP, November 1. Specifically, all carriers in southeast Texas (my major market) were eliminating Preferred Provider Organization (PPO) plans and forcing all new policyholders to accept Health Maintenance Organization (HMO) plans in their place. Anyone who knows anything about the latter knows that, with this type of plan, the patient must obtain treatment within the network or have no coverage whatsoever. For the young and bulletproof this seemed no great compromise. But to the middle-aged and older, whose health problems are moderate to very serious, it was a huge one. My existing PPO plan clients who were not grandfathered, including myself, were forced by the state’s largest insurance carrier (among others) to accept HMO coverage as a substitute or lose coverage altogether effective January 1, 2016. I scrambled to find acceptable replacement coverage for over 150 of my clients from the 2017 HMO plan options. This endeavor materialized into a “Mission Impossible” style nightmare as the HMO networks made available to them had nothing approaching the larger number of provider doctors and hospitals to which the employees and dependents of large employer plans had access. My clients learned they would be unable to utilize the providers in their current (and now former) PPO plans. It was mostly an exercise in futility attempting to find all of a person’s providers in any one network and, even if that person were so lucky, the inconvenience of getting their Primary Care Physician to refer them to a specialist was another cumbersome hurdle most considered an unwanted liability. After first enrolling in a higher cost Silver Plan offering doctor’s office copays, I myself, before the close of OEP, switched to a lower cost Bronze (non-copay plan) with another company. This after realizing it was virtually impossible for my physician to successfully maneuver the referral process. I made the decision it was best to take the premium savings involved in the benefit downgrade and have it for the occasional doctor’s visit which I have found to average $150. I save much more than this by having gone with a Bronze plan and―so far―it has worked out for me. Since the close of OEP my phone rings throughout the week with people pleading with me to get them out of their HMO plan and into PPO coverage so they may see the doctor of their choice. I have only one PPO medical plan I can refer them to. This plan made itself available after the close of OEP but it is a hospital system plan which requires the patient remain in the system or face high out-of-network expenses. Furthermore, if the prospect has not had what the Department of Health and Human Services and ACA call a “Life Changing Event” they cannot change to a new plan at this time and must wait until October to enroll for a January 1 effective date. To add personal insult to injury, the plan does not even allow brokers and agents to be appointed with them for the purpose of doing business. Any business we refer or submit to them is done strictly on a “pro bono” basis. The only good news to be had for the consumer is that premiums not only stabilized but, in the case of those forced to migrate to HMO coverage, may have even gone down. Of course. Why shouldn’t they? The forced migration took client/patients from a position of having the final say on who their provider was to a position of having their providers, and therefore, treatment rationed. Most do not consider the trade off a worthy one. I know I do not. Of all my clients on individual and family PPO plans, forced to exchange such, some were small business owners. Those that had the minimum two W2 employees were able to switch to “Group” (employer based coverage) and maintain a PPO plan and provider network. If you fit this profile, please contact me. I can assist you in acquiring group coverage at any time throughout the calendar year. My clients ask me if I expect PPO plans to re-enter the individual and family market in 2017. I tell them we will have to wait until the beginning of the OEP October 15th. But I advise them not to bet the ranch on it. If insurance companies do reintroduce PPOs, it will be only to entice policyholders to make a plan switch which would require a new contract (policy) in which brokers and agents would be excluded from compensation. This would be done in an effort to wipe the insurance companies books clean of the liability for our compensation. Their rationale is they can now put a great deal of the cost of enrolling people on the American taxpayer by directing prospective enrollees to the state and federal health insurance exchanges. The lion’s share will be directed to Healthcare.gov. But what of the financial health and solvency of the insurance companies and their plans? Today’s feature article, from the New York Times (below) describes the push to ration provider access and treatment. Of course, they do not use those words, choosing instead to describe it as a move to “curb” cost in an effort to stabilize premiums. In spite of such, the insurers, for the most part, still struggle for solvency. The article explains that companies overestimated the number of ultimate enrollees and underestimated the cost of providing all the mandated care. To exacerbate their generally thin to negative profit margin, they did not receive all the government subsidies originally promised. Like so many programs, it would appear they cannot approach solvency without tax-payer funded subsidies. Given all this, most of the insurance co-ops have failed and even major carriers are announcing withdrawal from the market. UnitedHealthcare, the nation’s largest health insurance carrier, has announced it will be pulling out of 90% of its current market in 2017. Anthem seeks to buy Cigna and Aetna seeks to merge with Humana. All this results in far less competition and . . . less competition means higher premiums for the consumer. Stay tuned to see what the market offers us during this fall’s OEP. I will be focusing more and more on my “Medicare” clients who, much to my regret, were somewhat neglected during last fall’s scramble on my part to find new policies for 150 plus under-age 65 health insurance clients. Medicare recipients will be a priority this fall during their own OEP for Medicare Advantage and Part D Prescription Drug Plans. I hope the market allows me to play an active role in assisting families in obtaining health insurance. . . . We shall see. Predicting what is going to happen next in terms of what the general public refers to as “Obamacare” is a lot like walking into a swamp. You’re not quite certain if your next step will land in quicksand or on top of an alligator. Terra firma would be a welcome and unexpected change for the consumer and this agent / broker. Oscar has attracted 135,000 customers, about half of them in New York State. And some of its efforts with technology have been successful. But for every dollar of premium Oscar collects in New York, the company is losing 15 cents. It lost $92 million in the state last year and another $39 million in the first three months of 2016. “That’s not a sustainable position,” said Mario Schlosser, chief executive at Oscar. Companies like Oscar were initially attracted by the potential of millions of new customers added to the individual market by the health law. But the reality has been far messier. In an effort to attract customers, insurers put prices on their plans that have turned out to be too low to make a profit. The companies also assumed they could offer the same sort of plans as they do through employer-based coverage, including broad networks of doctors and hospitals. But the market has turned out to be smaller than they hoped, with 12 million signed up for coverage in 2016. Fewer employers have dropped health insurance than expected, for example, keeping many healthy adults out of the individual market. And among the remaining population, the insurers cannot pick and choose their customers. The law forces them to insure people with pre-existing conditions, no matter how expensive those conditions may be. As a result, most insurers are still trying to develop a successful business model. Last year, only a quarter of the insurers appear to have made money selling individual policies, according to a preliminary analysis from McKinsey, the consulting firm. Giant insurers like UnitedHealth Group have stopped offering individual coverage through the public exchanges in some states. And most of the new insurance co-ops, which were founded to create more competition, have failed. The heavy losses do not necessarily mean that the individual market is ready to implode. Some insurers, including large companies like Anthem, say they remain committed to the market, and some insurers have made money. But the turbulence is certainly greater than expected. And it may well lead many insurers to seek double-digit percentage rate increases and tighten their networks. “There was tremendous uncertainty that even the very established companies were flummoxed by,” said Larry Levitt, an executive with the Kaiser Family Foundation, which has been closely following the insurers’ progress. Over all, insurance companies continue to make profits. The dearth of profits from the individual markets, though, show how challenging it is to make insurance affordable when it is not subsidized by the government or an employer. The troubles in the individual market also underscore how some of the law’s provisions meant to protect the insurers have not worked as well as desired. Insurers did not receive all the payments they were due under one of the law’s provisions, and another provision, meant to even out the risk among companies to protect those that enroll sicker individuals, has been described as flawed by many health care experts. Federal officials have said they would tweak those formulas. The companies that have fared best so far are those that have kept the tightest control over their costs, by working closely with low-cost providers or a limited group of hospitals and doctors. Many have abandoned the idea of offering the kind of access available through many employer plans. The successful companies have also avoided the very low prices found in some of the co-ops. For most of the insurers, though, the math has just not added up, which is the case with Oscar. In New York State, where Oscar is based, the company recently filed eye-catching requests to raise rates by a weighted average of nearly 20 percent for 2017. Regulators will make a decision in August. Other new insurers that sell plans to employers or under government programs like Medicare have been a little more insulated. When Northwell Health, the system in New York previously known as North Shore-LIJ Health System, entered the insurance market, it created a new company. That company, CareConnect, has 100,000 customers, most of them individuals insured through both large and small employers. “If we only had the individual market, we would have taken undue risk because we would not have understood that market,” said Alan J. Murray, CareConnect’s chief executive. He said the company is close to turning a profit. 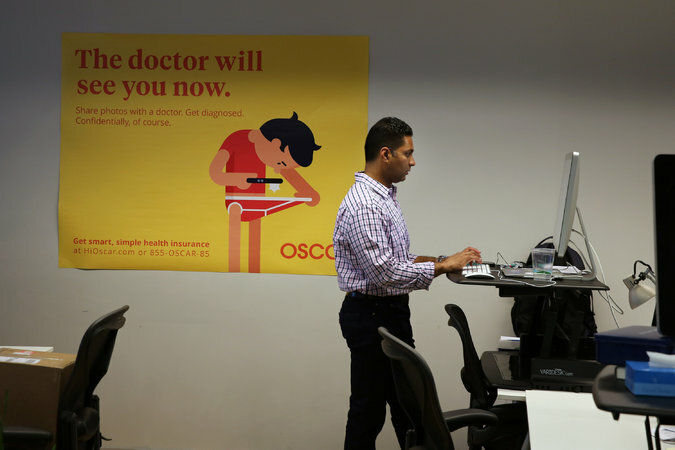 Oscar says it plans to begin offering coverage to small businesses, but Mr. Schlosser was adamant that individuals will eventually be buying their own coverage, rather than relying on employers. The company is also racing to incorporate plans with smaller networks. Bright Health, another start-up, also plans to work closely with health systems to offer consumer-friendly plans. While Oscar has had to use another insurer’s network in New York, the company’s goal is to form partnerships with systems to create networks that specialize in managing care. The company began experimenting with these networks this year in Texas and California. “Oscar talks about narrow networks like no one has seen one before,” said Dr. Sanjay B. Saxena, who works with insurers and health systems at the Boston Consulting Group. Oscar points to its technological edge as a way to manage patients’ health better than the established insurers. It has created teams, including nurses, who are assigned to groups of patients and can intervene when its data flags a potentially worrisome condition like a high blood sugar level. Promoting itself as a consumer-friendly alternative to the other insurers also has its risks. While Oscar has loyal customers, others say they are disappointed to find the insurer behaving like everyone else. Cosmin Bita, a real estate broker in New York, switched to Oscar from an insurer that had given him the runaround about whether it would pay for blood tests as part of his annual physical. Although Oscar said when he enrolled that the tests would be covered, he said, he found himself fighting with the company over whether everything was covered. “The exact same thing happened,” Mr. Bita said. Oscar executives said the company works hard to keep customers satisfied. But so far, it has not proved that it has created a better model than the rest of the industry. MEDICARE RECIPIENTS DODGE A BULLET WHILE OBAMACARE INSUREDS PREPARE TO TAKE ONE! Perhaps a storm would be a better analogy but 2016 will deliver something more than a mild tropical depression to the coast of the “Individual and Family” health insurance market. At the same―the Cat 3 (minimum) hurricane projected to slam the Senior market of Medicare recipients appears to have been diverted. For now. As we enter the third year of enrollment in health insurance plans compliant with the Affordable Care Act (ACA) the “Affordable” aspect of care or―more accurately―the cost of protecting oneself from the cost of health care―seems elusive and more and more a case of misrepresentation. As I have said many times in the past, if you qualify for a subsidy of your health insurance premiums you may find your options affordable. However, depending on where you live, you will surely be upset with the increasing cost of health insurance. 70% of all Obamacare members are enrolled in a Silver Plan. The Department of Health and Human Services (DHS), which oversees enforces the Act and oversees the health insurance industry, has designated the second lowest cost Silver Plan of any insurance company to be the default plan one must select in order to maximize the benefit of any subsidy. This could include a reduction in not only one’s premium but their deductibles and co-pays. As Fox News and the Washington Post report (see featured article below) the cost of these plans will rise by a national average of 7.5%. States such as Oklahoma will see an increase of 37.5%! In some states it is much worse. To add insult to injury many insurance companies, such as BlueCross BlueShield of Texas, have taken such losses―in spite of skyrocketing premiums―they have announced they are eliminating the Preferred Provider Organization (PPO) network option for their plans and member benefit. The only option will be to select a Health Maintenance Organization (HMO) network option wherein the company can ration your providers and treatment. While the young or otherwise very healthy may find this option acceptable, those of us who are older or dealing with existing illnesses or injuries are certain to be upset by this development. The insurance companies seem to be in agreement on the viability of PPOs and explain any premium increase necessary to assure they even break even on a PPO policy would be beyond the increase limit set by Obamacare. As such, it would therefore not be approved by their state insurance commissioner. So the question remains: what will your personal network and benefit options be for 2016 and what will they cost? $695 per person ($347.50 per child under 18) The maximum penalty per family using this method is $2,085. A banner follows which, as of Sunday, November 1st, you may click on and by simply entering your birth date, zip code and tobacco usage, obtain ALL your health insurance options from each and every insurance company issuing 2016 coverage in your state. It will also allow you to calculate what subsidy, if any, and enable you (if you choose) to log directly into the federal marketplace to acquire it and your insurance plan. If you have questions, as you most surely will, do not hesitate to contact me via my contact information via the link or below. The threat and legislation which averted this is described in detail in The Fiscal Times article below. As of today, it is still unclear to this editor whether the increase in the calendar year deductible has also been averted. The prices for a popular and important group of health plans sold through the federal insurance exchange will climb by an average of 7.5 percent for the coming year, a jump nearly four times bigger than a year ago, according to new government figures. The rate increase for 2016 compares with average growth of 2 percent, from 2014 to this year, in the monthly premiums for a level of coverage that serves as the benchmark for federal subsidies that help most consumers buying coverage under the Affordable Care Act. A “snapshot” of insurance rates, released Monday by the Department of Health and Human Services, also shows that the rate increases for next year vary substantially around the country. Although there are exceptions, more populous states and metropolitan areas tend to have more modest premium increases for the coming year than smaller areas. The changes for next year have a wide range — from premium increases averaging 35 percent in Oklahoma and Montana to a decrease of nearly 13 percent in Indiana. The analysis is based on hundreds of health plans sold in local markets within 37 states that use HealthCare.gov, the federal online insurance marketplace. It excludes plans in other states that have created separate ACA insurance marketplaces. The rates reflect the prices of the second-least expensive health plan in each market for 2016 in a tier of coverage known as silver. ACA health plans are divided into four tiers, all named for metals, depending on the amount of customers’ care that they cover. Silver plans have proven by far the most popular. Officials at HHS issued the analysis as less than a week remains before the start on Nov. 1 of a third open-enrollment season for Americans eligible to sign up for health plans under the insurance marketplaces created by the 2010 health-care law. The exchanges are intended for people who cannot get affordable health benefits through a job. In their analysis, federal officials contend that the health plans sold through the exchanges will be affordable to people willing to shop for the best rates. The cost to consumers, HHS officials emphasize, is cushioned by the fact that nearly nine in 10 are eligible for tax credits. Taking the subsidies into account, nearly four in five people who already have gotten insurance through these marketplaces will have access for 2016 to a health plan for which they could pay no more than $100 in monthly premiums, the analysis found. The analysis does not address other costs to consumers, such as co-payments and deductibles, which tend to be more expensive in ACA health plans than in employer-based health benefits. The figures in the analysis reinforce a theme that Obama administration officials introduced last year and have revived as the third sign-up period approaches: the usefulness of researching the best and most affordable coverage, even if it means switching insurance from year to year. “If consumers come back to the Marketplace and shop, they may be able to find a plan that saves them money and meets their health needs,” Kevin Counihan, the HHS official who oversees the health exchanges, said in a statement. The new figures show that existing customers who went back last fall to HealthCare.gov and picked a different plan at the same level of coverage saved an average of nearly $400 in premiums over the course of this year. Slightly fewer than one-third of those who bought such coverage for a second time switched health plans, according to the analysis. During this open enrollment, Obama administration officials are striving both to attract existing customers again and to ferret out Americans eligible for the exchanges who remain uninsured even though the law requires them to have coverage. Although many consumers can be largely shielded from rate jumps through subsidies and shopping around, the increases ratchet up the government’s expenditures on the tax credits that the law provides, health policy analysts point out. Responding to pressure from seniors’ and labor groups as the 2016 campaign season heats up, congressional leaders and the White House have blocked a huge, 50 percent increase in the Medicare Part B premium for nearly one third of the 50 million elderly Americans who depend on the program for health services. The bipartisan solution will block all but a tiny fraction of the premium increase. It is contained in the two-year budget and debt ceiling bill negotiated by House Speaker John Boehner (R-OH), House Minority Leader Nancy Pelosi (D-CA) and the White House and that awaits ratification by the two chambers – likely by the end of this week. The threatened sharp premium increase – reported back in August by The Fiscal Times – was triggered by a quirk in federal law that penalizes wealthier Medicare beneficiaries, newcomers to the program and lower income Americans with complicated chronic health problems. It kick in any time the Social Security Administration fails to approve an annual cost-of-living adjustment – as will be the case next year. Medicare Part B and the Social Security trust fund are interconnected, and most seniors on Medicare have their monthly premiums deducted from their Social Security checks. Because the federal law “holds harmless” about 70 percent of Medicare recipients from premium increases to cover unexpected increases in healthcare costs, the remaining 30 percent of Medicare Part B beneficiaries suffer the consequences by being made to pay higher premiums. Without intervention by Congress, roughly 15 million seniors and chronically ill people currently claiming both Medicare and Medicaid coverage would have seen their premiums increase from $104.90 per month to $159.30 for individuals, according to Medicare actuaries. The actuaries also predicted an increase in the annual deductible for Part B of Medicare, from $147 in 2015 to $223 next year. Estimates of the cost of legislation to blunt or block a premium increase have ranged from $7.5 billion to $10 billion. Under the budget agreement unveiled late last night, that cost will be covered by a loan of general revenue from the U.S. Treasury to the Supplemental Medical Insurance Trust Fund. In order to repay that loan, the 15 million people who are not subject to the “hold harmless” protection will be required to pay an additional $3 a month in premiums – a token amount — until the loan is repaid years from now, according to a House budget document describing the deal. Medicare beneficiaries who currently pay higher income-related premiums would pay more than $3, based on their income levels. If there is no Social Security cost of living adjustment increase for 2017, this provision will apply again. Don’t worry. This doesn’t apply to you if you have coverage through an employer’s group plan. But if you (like myself) are one of 370,000 insured members with an individual or family health insurance plan―be prepared to choose your provider from a different menu. And rest assured it will be portion controlled. BlueCross will continue to offer Health Maintenance Organization (HMO) Plans where you must elect and utilize a provider within their HMO network or you will have no coverage whatsoever. This is where rationing begins. With your provider. You can expect the number of doctors and hospitals to be significantly limited relative to the selection currently available to you in the Preferred Provider Organization (PPO) network where you may go in or out of the network at your discretion and still be covered. Although details are yet to be unveiled, these HMO plans will most likely require you to select a “Primary Care Physician” with whom all medical care must be initiated. If so, you will have to obtain a referral from that primary care provider in order to see a specialist. And that is where rationing of care continues. With your treatment. HMO providers have contractually agreed to accept a lower payment in return for providing you treatment in the first place. Referring you (away) to a specialist results in a total loss of payment. BlueCross explains they paid $400,000,000 more in claims then they collected in premium from their PPO members in 2014. And they add (exclamation point mine) “that is unsustainable!” Their rationale is―the insurance company will be better able to “manage” the care we members receive and what we are charged for care, helping to reduce health insurance premiums. Those currently enrolled in a “grandfathered” (written prior to the March 2010 passage of the Affordable Care Act) plan or HMO network policy will be happy to know you will probably be able to maintain your coverage option (deductible, co-pays) into 2016, assuming the premium remains affordable. Those, like myself, who want total discretion as to our providers are certain to be disappointed. This begs the question: What will our options be with other insurance companies? Unfortunately, like BlueCross, most companies are yet to reveal the details of their policies. I will be introduced to these changes over the remainder of October and―rest assured―whatever your best options are for 2016―I will have them. And you will be able to elect them with the beginning of OPEN ENROLLMENT (OE) November 1st―through the end January 31st. If you involve me, I will take into consideration your providers and do my best to find an affordable plan which allows you to continue to utilize them. If this entails you qualifying for and needing a premium subsidy from Healthcare.gov―I will assist you in navigating that process and serve as an advocate in your behalf. As I have done for 29 years this month, my objective is to ensure you obtain and maintain your best possible health care coverage at the lowest cost. Even in this age of increasing insurance premiums and less provider options. Please refer to the featured article below and, lastly, to the Questions And Answers at the end of today’s post. Additionally, do not hesitate to call me or email me in order to prepare for these coming changes. Health insurance carrier Blue Cross Blue Shield of Texas next year will eliminate a PPO health plan that 367,000 consumers statewide now depend on for health benefits. The company’s decision to drop its Blue Choice PPO plan will affect only customers in the individual market — not those covered by Blue Cross PPO group plans through their employers. About 148,000 consumers whose PPO plans were grandfathered in 2010 also won’t be affected. The change is being made because the insurance company paid out $400 million more in claims than it collected in premiums for its Blue Choice PPO product in 2014. “We felt like the PPO was not going to be a sustainable option,” said Dr. Dan McCoy, chief medical officer and divisional senior vice president for Blue Cross Blue Shield of Texas. The move will not interrupt customers’ coverage before the end of the year. The insurance carrier expects to offer another product when open enrollment for 2016 begins Nov. 1 in the individual market. No details on that new product were available Monday since it still is awaiting federal approval. Consumers won’t be able to view and compare their options on the federal exchange until Oct. 10, the company said. The carrier has not yet started sending notices to customers affected by the change, aside from posting a general notice on its website, a spokeswoman said. However, they should receive notices by early October. Only a small fraction of the carrier’s total 5.5 million customers in Texas are covered by individual Blue Choice PPO plans, but the product has proven popular with consumers who want flexibility on which doctors they can visit. Loretta Camp, an independent health insurance agent at Davidson Camp Insurance Services and a member of the San Antonio Association of Health Underwriters, said she is bracing for a flood of questions from consumers. “We pretty much expected there to be just a huge amount of feedback,” Camp said of Blue Cross’ announcement, “and we’ve gotten hardly any. I don’t think people have really grasped what that means. “It‘s a huge impact to my client base,” Camp said, noting that 88 percent of her customers buying health plans for themselves or their families inside or outside the federal exchange selected PPOs — preferred provider organization plans that allow consumers greater freedom on which doctors to visit. Such plans are generally pricier than the more restrictive HMOs — health maintenance organization plans that only cover care from doctors and hospitals “in network” and won’t cover services outside the network at all unless it’s an emergency. “We have a number of clients that moved … to a PPO plan because they were having difficulty finding providers that would take the HMO plans,” Camp said. In its communication to brokers last week, Blue Cross acknowledged there will be some physicians and providers no longer considered “in network” as a result of individual Blue Choice PPO plans being discontinued. Keeping the individual PPO plans intact and raising the price would have forced the insurance company to raise everyone’s rates in the individual market. Under the Affordable Care Act, “individual business is rated using a single risk pool, meaning all individual plans had to be looked at together,” the carrier said in its notice to brokers last week. Like most carriers, Blue Cross was venturing into uncertain territory when the Affordable Care Act made health insurance available to everyone beginning in 2014, McCoy said. Blue Cross officials sidestepped questions Monday about whether it will continue selling its Blue Advantage HMO plans in the individual market in Texas next year. The company also declined to say how many consumers now now covered by Blue Advantage HMO plans, calling that proprietary information. However, the federal HealthCare.gov website shows the carrier requested a rate increase of almost 20 percent for its Blue Advantage HMO plans in 2016. That proposal is still under review by the Centers for Medicare & Medicaid Services. Blue Cross officials wouldn’t comment. Blue Cross Blue Shield of Texas noted it was the only insurance carrier to offer a PPO product in all 254 counties in Texas during the first two years of open enrollment in 2014 and 2015. Company officials said they will continue to offer other options in all 254 counties both inside and outside of the marketplace. We’re getting ready for Open Enrollment for 2016. Blue Cross and Blue Shield of Texas (BCBSTX) will offer individual coverage options in every market in the state, both on and off the exchange. If you have an individual health plan or are looking to buy one in 2016, here are some of the changes you need to know. Open Enrollment for individuals runs from November 1, 2015 through January 31, 2016. If you are looking to buy your own health insurance plan for 2016, you can do so during this time. You’ll be able to see what plans will be available starting in October, when the “window shopping” period begins. This will give you time to weigh your options, ask questions and decide what will work best for you – before it’s time to sign up. What will be different for individual plans in 2016? There are some changes in the plans we intend to offer in the individual market in 2016. We won’t be offering PPO insurance plans in the individual, retail market. However, we intend to continue to offer HMO plans. This change does not affect our employer group customers or the grandfathered PPO individual plan members. Why is Blue Choice PPO going away? BCBSTX was the only insurer to offer an individual PPO insurance plan across the state to individuals in 2014 and 2015. Since the Affordable Care Act began, the market has changed. We found that the individual PPO plan was no longer sustainable at the cost it was being offered. Because we want to make sure that our plans are affordable, we decided to not offer individual PPO plans in 2016. Why couldn’t you just keep offering the individual PPO plans and raise the rate for them? The law requires that we set our individual plan rates based on all of our individual members’ claims history. This means that if the costs of one plan are high, it will raise the rates of all other plans, not just the high-cost plan. If we kept the Blue Choice PPO, this would have raised the rates so much for all our other plans that most people wouldn’t be able to afford them. By dropping the PPO, we can still offer our other plans at reasonable rates. I have a PPO plan. What will this mean for me? If you have an employer group PPO plan, this will not affect you. If you enrolled in the individual Blue Choice PPO plan last year, you won’t be able to keep your PPO plan in 2016. We’re sharing this information well in advance of the required notification date so that you have plenty of time to research the plan options that best suit your needs. We will work with you and your doctors to lessen the impact of this change to your ongoing care. My Blue Choice PPO plan is “grandfathered.” Is it being discontinued too? No. If you have a grandfathered individual PPO plan, it will still be available in 2016. Grandfathered individual plans are plans that existed on March 23, 2010, when the Affordable Care Act became law. If you don’t know if your plan is grandfathered, check your plan details or call the customer service number on the back of your BCBSTX member ID card. Will I be able to keep my doctor and/or hospital if I switch plans? Currently, we have two provider networks for our individual plans: Blue Choice PPO and Blue Advantage HMO. Some providers are only in the Blue Choice network, and some of them have decided not to join the Blue Advantage HMO network in 2016. So, with the Blue Choice PPO individual plans going away, these providers will no longer be an in-network option for most of our individual members. If you have a grandfathered plan, you will still have access to the Blue Choice network. 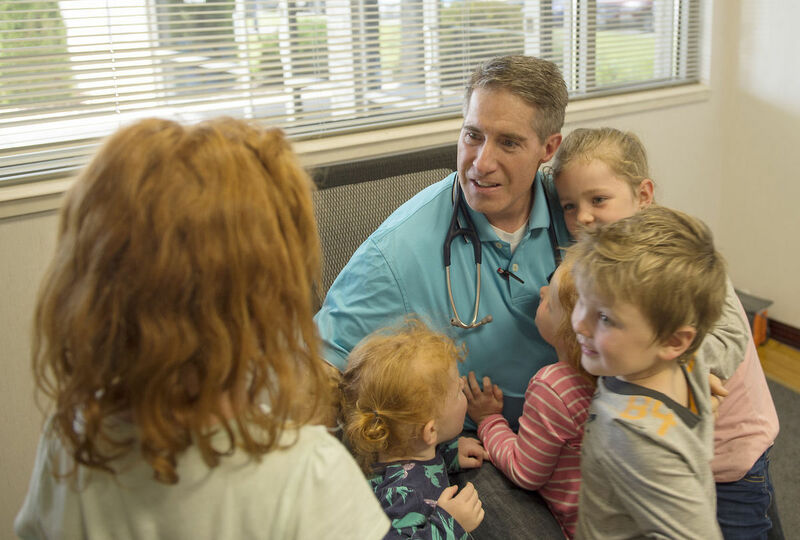 If your doctor is not in the Blue Advantage network, we will work with you and your doctor to lessen the impact of this change to your ongoing care. When can I see 2016 plan details and rates? HEALTH INSURANCE “OPEN ENROLLMENT” PERIOD 2014 – 2015: DEJA VU ALL OVER AGAIN (AND THEN SOME)? So you thought last year’s open enrollment period (the limited time frame in which an individual may enroll in a health insurance plan for the coming calendar year) was a fiasco? Consider the words of Kevin Counihan, head of the federal insurance marketplace who says 2015’s hurdles may outstrip 2014’s. “Part of me thinks that this year is going to make last year look like the good old days,” said Counihan in an interview with the New York Times. Now that’s a scary thought indeed. 1) Price matters. 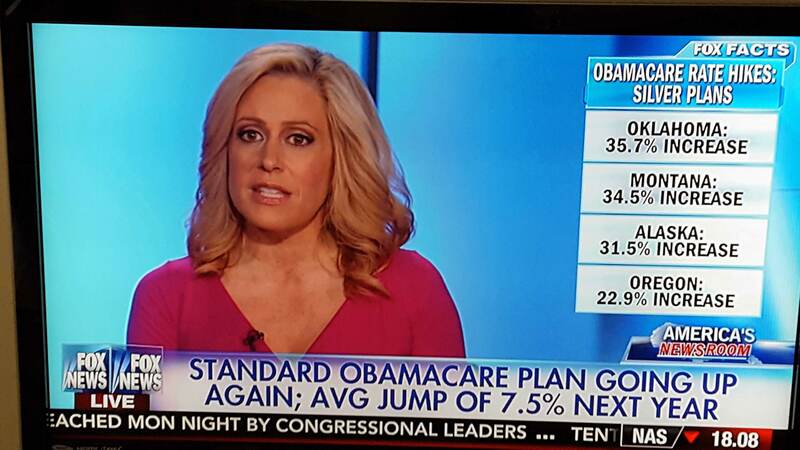 And, in large part, premiums will not be going down. BlueCross Association plans, for instance, have requested steep increases in general, up to 17.6% for Florida Blue. Double-digit―up to 30% increases may be common among those competitive last year and others, previously not competitive, may offer equally lower premiums. In those states where prices will increase predominately, and the consumer does not qualify for a subsidy, affordability will be an issue and cost a deterrent to enrollment in spite of the penalty for not purchasing health insurance. The penalty will increase to 2% of family income or $325 per adult and $162.50 per child, whichever is higher. The reality is most insurers are filing their proposed 2015 health insurance premiums for approval now, even though claims experience for the current year remains unknown with four months remaining. Will premiums increases be warranted? Will decreases be mere wishful thinking? The good news is, the number of companies participating in the market is going up and there will be 1.6 times more plans to choose from. 2) The open enrollment period will be cut in half. Three months down from six to be exact. This period will run from November 15th to Febraury15th. What this means is, not only will all those who wish to enroll in a plan for the first time be attempting to navigate the system, but all those who wish to change plans will also. With the administration’s objective of signing up an additional 5 million subscribers this year, the process may end up resembling a stampede of cows all trying to enter the Fort Worth stock yard chute simultaneously. Let us hope the end result is more pleasant for the participants. Actuarial concerns relative to the fiscal viability of the Affordable Care Act (of great concern to this editor) aside, the consumer can expect this fall, through February 15th, to present a host of challenges from knowing which plan is best for them to being able to afford it. All the more reason for the consumer to seek the counsel of an independent health insurance specialist who is licensed (passed their state’s insurance exam); maintains errors and omissions insurance for your protection; has met his or her state’s continuing education classes and may have (as in the case of this agent) decades of experience in the health insurance market. These qualifications as opposed to government enrollers or “navigators” for whom none of this may apply. Consumer advocates and others say nearly everyone with coverage should review their options ( https://www.brokeroffice.com/quote/quoteengine.jsp?login=insurnet) as well as whether their federal tax subsidy is likely to shift — either because their income may have changed or because the cost of the benchmark plan used to calculate the tax credit has changed. The newly appointed CEO of HealthCare.gov is predicting fresh challenges for the system’s second enrollment period this November. Kevin Counihan, former head of Connecticut’s exchange, cited concerns such as the shorter sign-up period for 2015 plans that could create problems for officials and consumers alike. “In some respects, it’s going to be more complicated,” Counihan told The New York Times in an interview. 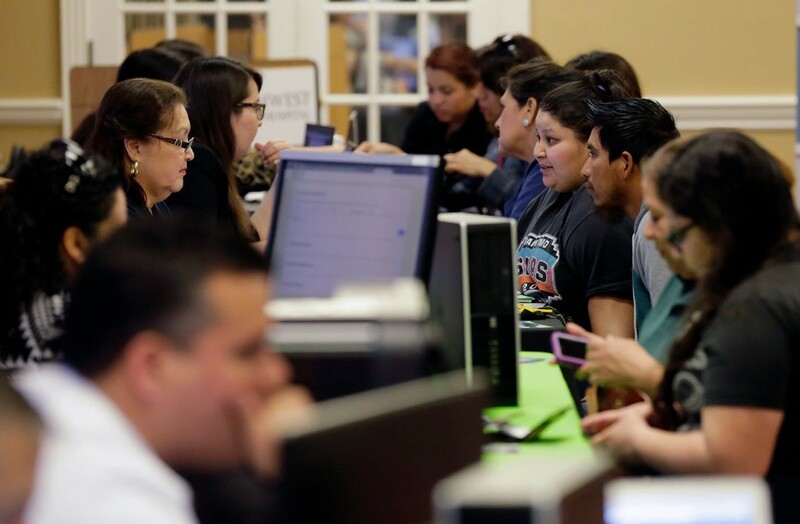 “Part of me thinks that this year is going to make last year look like the good old days.” The comment highlights the heady task facing federal health officials as they work to prevent a repeat of last year’s first enrollment period. Last year, technical flaws at HealthCare.gov and other exchanges plunged the enrollment process into chaos and created an enormous political headache for the Obama administration. Counihan did not indicate that his fears related to the technology, which has undergone extensive repairs since last October. The 2014 sign-up period was six months long, but with just three months to enroll more consumers, this year’s process could prove a tough climb as insurers and the government seek to convince hard-to-reach populations to buy health plans. Existing policyholders are likely to encounter changes in their premium prices that could also cause confusion. The White House has doubled down on the Republican’s November request to delay the “Individual Mandate” of the Affordable Care Act. At least a major portion of it. The only thing predictable about implementation of the Affordable Care Act is that . . . nothing is predictable. On Wednesday, the Obama Administration played “tooth fairy” to Democrat candidates up for re-election this November and gave American individuals and families with pre-2014 health insurance policies a reprieve on the mandate to purchase ACA compliant coverage for two years through 2016. Last fall the House argued and passed a bill allowing American individuals and families who liked their current health plan – to keep their health plan. As the President had originally promised they could do. But for just one year. Now, in what appears to be an entirely self-serving and purely political move to mitigate a loss of Democratic seats in the up-coming mid-term elections, the Administration Obama says . . . “Errrr – of course! You can keep your plan for two more years!” It is quite apparent the Democrats have correctly determined the backlash from plan cancellations mandated by law could be devastating in terms of their election. Therefore, they speculate, with this aspect of the law deferred they will fair much better at the polls. And how does your editor feel about this from an actuarial standpoint relative to the insurance companies and the ACA itself? In four words: “Politically Pragmatic Voodoo Economics”. Even Obamacare architect Ezikiel Emanuel, stated Wednesday while on MSNBC, that while he denounced the policy implications of yet another Obamacare delay, “for the political gain, it’s worth it”. Unabashedly self-serving. If the insurance companies comply, they are once again forced to flex at the last minute and be left with two separate blocks of business. One old block containing less claim’s risk. And one new block where the only motivation to insure oneself will be to transfer personally large risk to the insurance company. This will be in terms of pre-existing conditions which were previously manageable or that arise for the first time. As evidence of this, in an attempt to limit the disruption to the insurance industry precipitated by this latest modification, the Department of Health and Human Services also announced yesterday that the “risk corridor” program (which has been described as a bailout to insurers) would be further modified to channel more money to the insurers in states affected by the change. This only reinforces my opinion that those behind this bill are not economists and never cared about the financial viability of this law. They are, however, very concerned with maintaining their political lives at all cost. WASHINGTON — The Obama administration, grappling with continued political fallout over its health care law, said Wednesday that it would allow consumers to renew health insurance policies that did not comply with the new law for two more years, pushing the issue well beyond this fall’s midterm elections. The reprieve was the latest in a series of waivers, deadline extensions and unilateral actions by the administration that have drawn criticism from the law’s opponents and supporters, many saying President Obama was testing the limits of his powers. The action reflects the difficulties Mr. Obama has faced in trying to build support for the Affordable Care Act and the uproar over his promise — which he later acknowledged had been overstated — that people who liked their insurance plans could keep them, no matter what. Under pressure from Democratic candidates, who are struggling to defend the president’s signature domestic policy, Mr. Obama in November announced a one-year reprieve for insurance plans that did not meet the minimum coverage requirements of the 2010 health care law. The Times would like to hear from Americans who have signed up for health care under the Affordable Care Act. Wednesday’s action goes much further, essentially stalling for two more years one of the central tenets of the much-debated law, which was supposed to eliminate what White House officials called substandard insurance and junk policies. The extension could help Democrats in tight midterm election races because it may avoid the cancellation of policies that would otherwise have occurred at the height of the political campaign season this fall. In announcing the new transition policy, the Department of Health and Human Services said it had been devised “in close consultation with members of Congress,” and it gave credit to a number of Democrats in competitive races, including Senators Mary L. Landrieu of Louisiana, Jeanne Shaheen of New Hampshire and Mark Udall of Colorado. Kathleen Sebelius, the secretary of health and human services, said Mr. Obama was trying to “smooth the transition” to a new system, using flexibility that exists under the law. The move reflects the administration’s view that a divided Congress would not be willing to make changes to the law, but lawyers questioned the legitimacy of the action and said it could have unintended consequences in the long run. Mr. Turley said Mr. Obama was setting precedents that could be used by future presidents to delay other parts of the health care law or to suspend laws dealing with taxes, civil rights or protection of the environment. Republicans said the move confirmed their contention that parts of the health care law were ill conceived and unworkable. The number of people with noncompliant coverage is not known. Insurers sent out perhaps 4.5 million cancellation notices last fall, but some of the policyholders have bought new coverage that complies with the law. Administration officials said that the number of people with noncompliant policies would shrink by attrition in the next two years.The health care law sets dozens of federal standards for insurance, requiring coverage of services in 10 specific areas and providing many consumer protections not found in older policies.Under the transition policy announced by Mr. Obama in November, insurers “may choose to continue coverage that would otherwise be terminated or canceled.” Insurers were allowed to renew existing policies even if they did not provide the “essential health benefits” prescribed by law. In addition, the administration said, insurers could continue charging women more than men for those policies and could charge higher premiums based on a person’s health status, in violation of the new law. A White House official said Wednesday that it would allow insurers to continue existing policies with renewals as late as Oct. 1, 2016, so individuals and small businesses could have noncompliant coverage well into 2017. Under another policy announced by the administration on Wednesday, certain health plans will be exempt from new fees imposed on insurance companies and on many self-insured group health plans. Labor unions had been lobbying for such an exemption, saying the fees could be “highly disruptive” to Taft-Hartley plans administered jointly by labor and management representatives in construction, entertainment and other industries. But Republicans denounced the change. “The administration’s decision to carve out its union cronies from the Obamacare fee is beyond egregious and will leave others with self-insured plans on the hook to foot the bill,” said Senator John Thune, Republican of South Dakota. Robert Laszewski, a consultant who works closely with insurers, said the reprieve for noncompliant policies “tends to undermine the sustainability of Obamacare” by reducing the number of people who will buy insurance through the exchanges. The administration acknowledged that its transition policy could lead to “higher average claims costs” for people who buy insurance that complies with the Affordable Care Act. But health officials said the 2010 law provided several “shock absorbers” to help stabilize premiums.